The U.S. Bank Cash 365™ American Express® Card is designed for the consumer who likes to keep things simple. If you like attainable cash bonuses but don't have the time or inclination to determine the best ways to get the most out of a complicated rewards structure, this might be the card for you. This no annual fee card offers users a straight 1.5% cash back reward (no categories) on all qualifying purchases. The rewards are unlimited, never expire and can be redeemed in a several ways, including a statement credit, direct deposit into your U.S. Bank checking or savings account, or as a rewards card. Additional perks include emergency assistance (legal, medical, and financial) on trips of more than 100 miles, return protection, extended warranty on certain eligible products, a "best value" price guarantee, early access for purchasing tickets to certain entertainment events, and travel and car rental insurance. There is no introductory rate on purchases but there is an introductory offer of 0% APR for the first 12 billing cycles for balances transferred within 60 days from account opening. After that, the rate moves to the standard 16.24% - 25.74%* Variable. Enjoy a new cardholder bonus of $150 once spending $500 in eligible net purchases within the first 90 days the account is open. Earn 1.5% cash back on all eligible purchases with no categories or spending caps to worry about. Great for anyone needing to a little extra time to pay off a large balance, the U.S. Bank Cash 365™ American Express® Card offers an introductory 0% APR offer on balance transfers for 12 billing cycles. After that, a variable APR of 16.24% - 25.74%* Variable will apply. The 0% APR intro offer is nice for anyone looking to make a balance transfer, but this offer is restricted to balance transfers only. This might not be the card for you if you're looking for an introductory offer of 0% APR on purchases as well. Simplicity can be a beautiful thing and easy cash almost always grabs our attention. 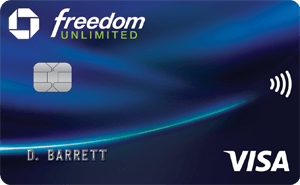 To begin with, the U.S. Bank Cash 365™ American Express® Card has no annual fee -- ever. That's a savings right out of the gate. The introductory bonus of $150 is modest but it is also a breeze to qualify for. You just need to spend $500 over the course of the first three months you have your card. Complicated rewards structures with multiple (and sometimes rotating) categories can certainly have a sizable return, but what good is that if you don't have the time to keep track of the categories and figure out the best way to use your card? The 1.5% cash back reward system with the U.S. Bank Cash 365™ American Express® Card is straightforward, easy to understand and easy to cash in on. We also like that there are multiple options for redeeming rewards. A deposit into a checking account is nice, but so is a statement credit that could mean no card payment for a month or two. If you don't do your banking with U.S. Bank, you lose some of your flexibility with reward redemption, as direct deposits can only be made into accounts at that bank. You might also find the lack of an introductory interest rate for purchases disappointing, and the starting rate of 16.24% - 25.74%* Variable APR could be a little steep for some. You will also want to bear in mind that the introductory rate of 0% for 12 billing cycles on balance transfers is only good on transfers made within the first 60 days you have your card. Both cards have no annual fees and they can both earn new cardholders a $150 bonus once spending $500 within certain time frames. When it comes to rewards, the two cards have polar opposite offers. U.S. Bank Cash 365™ American Express® Card earns a straight 1.5% on all purchases. Chase Freedom® offers a multiple tiered rewards program and as much as 5% cash back for some categories (up to $1,500 in combined purchases in bonus categories each quarter you activate). The welcome bonuses aren't identical, but they are similar. With the Bank of America® Cash Rewards credit card new cardholders can earn a $200 online cash rewards bonus after making at least $1,000 in purchases in the first 90 days of opening an account. The real difference between these two cards is the rewards structure. The U.S. Bank Cash 365™ American Express® Card offers a straight 1.5% cash back on all purchases. The approach is simple and direct. The Bank of America® Cash Rewards credit card has an opposite approach though, with cash back earned in tiered categories, including gas, online shopping, dining, travel, drug stores, and home improvement/furnishings. You get to choose a category (ideally the one you spend the most in) to receive 3% cash back. Beyond that, you get 2% back at grocery stores and wholesale clubs (up to $2,500 in combined choice category/grocery store/wholesale club quarterly purchases), and unlimited 1% back on all other purchases. In many ways the U.S. Bank Cash 365™ American Express® Card and the Wells Fargo Cash Wise Visa® Card are identical. Both have a $0 annual fee and a rewards program that offers a flat 1.5% cash back on all purchases. Although Wells Fargo Cash Wise also offers 1.8% cash back on qualified mobile wallet purchases, like Apple Pay or Google Pay, during the first 12 months. 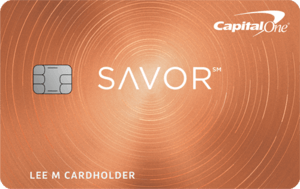 As for introductory offers, the U.S. Bank Cash 365™ American Express® Card offers $150 cash when you spend at least $500 in the first three months you have the card. Wells Fargo Cash Wise offers $200 but you have to spend at least $1,000 in the first three months to qualify. Both cards offer an introductory APR of 0% on balance transfers for 12 billing periods, but like with the other cards compared here, the Wells Fargo Cash Wise extends that offer to include new purchases as well. After the intro period, the APR rate for the Wells Fargo Cash Wise Visa® Card jumps to 16.24%-28.24% Variable. One unique perk offered by the Wells Fargo Cash Wise Visa® Card is cell phone protection. Get up to $600 protection on your cell phone (subject to $25 deductible) against covered damage or theft when you pay your monthly cell phone bill with your card. If you are clumsy with your phone, this could be a critical benefit. Bottom line, the U.S. Bank Cash 365™ American Express® Card is not for someone obsessed with maxing out their rewards every month. Rather, it is perfect for someone who values simplicity and saving time. Its rewards program is simple and straightforward. You might not make as much in rewards as you would with some other cards, but the program is easy to understand and redeeming rewards doesn't require much thought.